A new residential development of approximately 350 homes in Walton-on-Thames has been proposed in partnership with Crest Nicholson. The site located at Walton Court, close to Walton Station, will deliver a collection of 350 private sale apartments and townhouses as well as commercial and public space. Originally a listed building, the proposal is to develop a contemporary geometric look which is designed to reflect historic features of the original architecture, whilst retaining some of the original elements such as the listed bird sculpture. 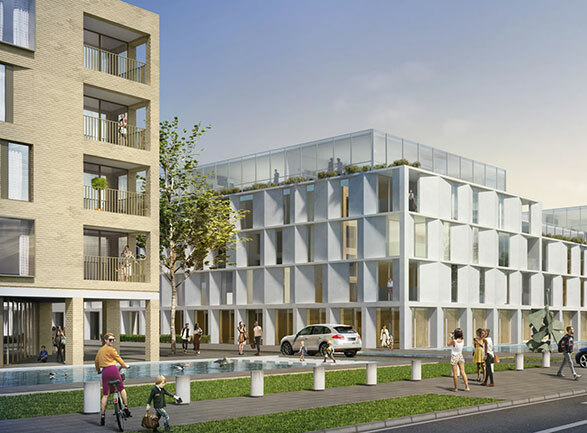 An internal courtyard and water features are also proposed as part of the new design, which will sit alongside improved community and landscaped areas. A public consultation event was held on the 15th and 17th December 2016 proposing the scheme to the community. “We are excited to progress this proposal with our partner Crest Nicholson.